Katie Greenyer, Creative Director of Pentland Brands, the London-based fashion group whose labels include Red or Dead and Speedo, formally opened Palace Court, Plymouth College of Art’s brand new Pre-Degree campus for 16 to 19-year-olds studying creative Extended Diplomas. Palace Court is now home to 500 16 to 19-year-olds studying arts, crafts, design and media. Its opening marks the next stage in Plymouth College of Art’s commitment to offering a progressive continuum of creative learning and practice in the region that extends from the age of three to Masters level study. This growth comes at a time of contraction in art education in schools, in which the consequence, intended or otherwise, of the proposed EBacc control measure risks marginalising the importance of creativity in UK education. Palace Court courtyard . Photo by Dom Moore. Plymouth College of Art’s acquisition and redevelopment of the historic Palace Court campus marks a return to the site, which was first occupied by the college in 1949. 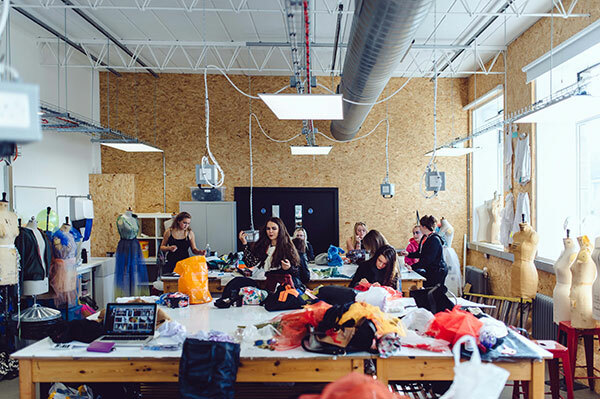 The refurbished and remodelled campus now boasts over 600m2 of specialist studio spaces and workshops, designed to meet the needs of modern art, design and media students. 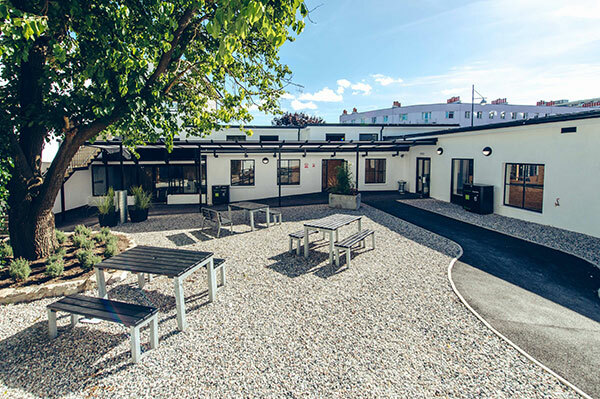 Palace Court has already been shortlisted for The Building Forum (TBF) of Devon and Cornwall’s Building of the Year award, the winners of which will be announced in November. The Level 3, Extended Diplomas delivered by Plymouth College of Art are designed and awarded by UAL Awarding Body, which is part of the University of the Arts London (UAL). Designed in collaboration with industry and education partners, the qualifications are equivalent to three A-levels and are recognised by UCAS, arts universities throughout the UK and by employers in the creative industries. Palace Court combines a collaborative art school and high energy creative learning environment with a modern curriculum that reflects all the technical and personal skills that young people in the South West will need to progress in the UK’s booming creative industries, which contribute over £80 billion per year to the UK economy and provide employment for over 1.8 million people.